When you see our orange truck arrive at your home or job site, you'll know you've made a smart decision. 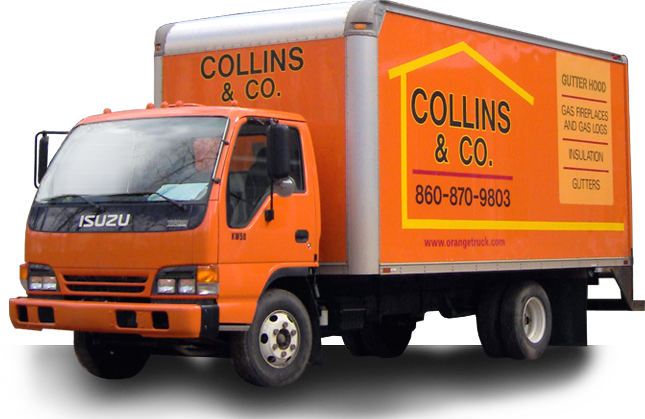 Collins & Co. proudly serves builders and homeowners throughout Connecticut and Massachusetts. 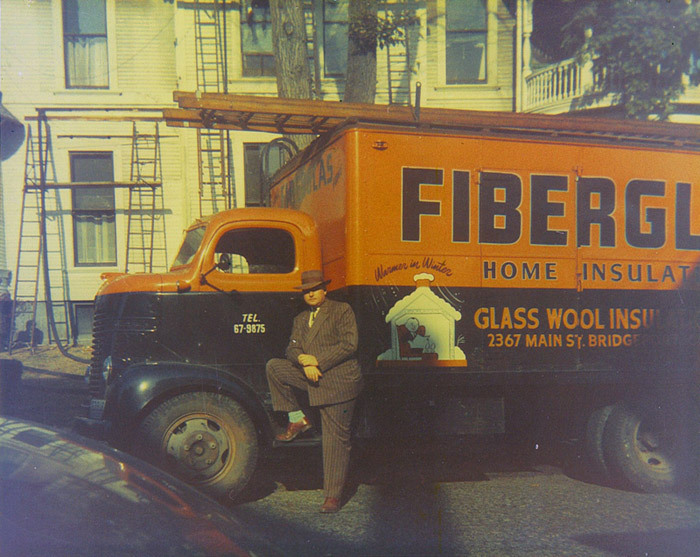 Our orange trucks have been a constant in area neighborhoods since our company began providing home insulation over 70 years ago. At that time, home heating oil was only 6 cents per gallon! Today we are an industry leader in the insulation field. Our team can provide solutions for every new construction or existing home whether you need fiberglass batt insulation, blown in fiberglass, blown in cellulose, BIBS or spray foam insulation. Over the years our product line has expanded to better serve our client's needs and now includes gutters, gutter protection, gas fireplaces, closet shelving and garage doors. Our team is customer focused. From the first call to our office, to our crew completing your job, our goal is your complete satisfaction. It is by this philosophy that we have built our reputation and grown, receiving numerous distinctions including Insulation Contractor of the Year by the National Association of Home Builders Research Center. Once a family business, today we are part of TruTeam, the largest insulation and gutter company in America. Our local team is ready to begin your next new construction or home improvement project and will provide state of the art technology with old time workmanship. We look forward to having you join our list of satisfied customers. Are you ready to take the next step toward your home improvement or construction project? I have never, never, met two individuals who worked so hard as they did. Smart, courteous, understands customer satisfaction, makes good suggestions, clean, talks highly of their company and their staff, the list goes on and on. They treated my home like it was their own. What a SUPERIOR job they did!